Online copies of our publications that are stored in our cloud drive can be accessed by clicking on their images given below. For subscribing the paid versions of the publications, please contact us via mail, phone or contact form. Prathidina Veda Padana Sahai* : Daily Bible Study notes in Malayalam based on a theme or a book from the Bible. 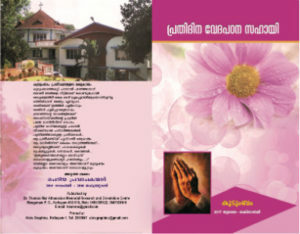 Veda Padana Sahai is published once in every four months. Every Day with the Word* : Daily Bible Study notes in English based on a theme or a book from the Bible. Every Day with the Word is published once in every four months. 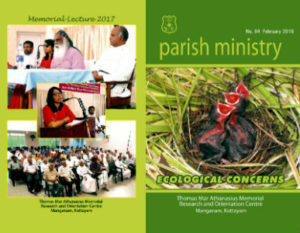 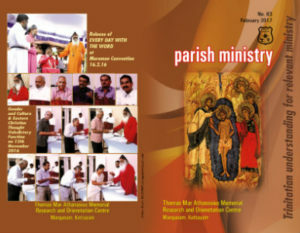 Parish Ministry : Articles of various programs conducted by the Centre and the summary of the project work done by the participants of various courses offered by Centre. 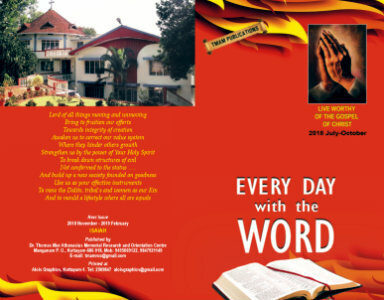 * Prathidina Veda Padana Sahai is not a translation of Every Day with the Word and vice versa. 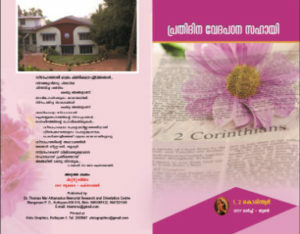 Bible notes prepared for these books by individual experts are reviewed by a panel during special workshops set up for this very own purpose.